Download two new battlegrounds in this Map Pack for LOST PLANET 2. In "Helix," fight in a multilayered NEVEC ocean research facility at the bottom of the ocean. 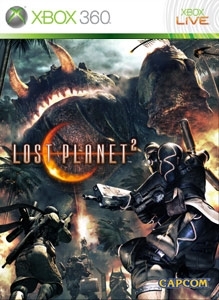 "Back to the Island" brings the new weapons and abilities of LP2 back to Island 902, a remake of the classic map from the original LOST PLANET. There are no refunds for this item. For more information, see www.xbox.com/live/accounts.